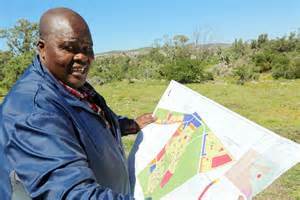 Despatch: multi-billion rand housing development set to begin today! In December, the R1-billion first phase of the government-backed Florida Heights integrated housing development will break ground on the outskirts of Despatch. The scheme – one of the “catalytic projects” identified by the national Department of Human Settlements throughout South Africa – is the first of its kind in the Eastern Cape. According to the developer behind the project, Sakhisizwe, more than 10 000 direct and indirect jobs will be created during the 5-year roll-out of the housing scheme on a hill overlooking Despatch, along the R367 across the Swartkops River. Attracting low to middle income residents, phase one will see 1 020 housing units developed alongside community and mixed-use facilities. Phase two, which is in the planning stages, is set to be completed in about 15 years’ time and will include a further 12 030 residential opportunities. Florida Heights is set to accommodate approximately 45 000 residents. “As founders and proponents of Sakhisizwe Trust, Sylvia Charles and I have spent many years thoroughly researching integrated developments abroad – especially those in Germany and the Netherlands – and tailoring this project to fit the needs of local low to middle income residents,” said Charles. The Bay has a total housing backlog of over 80 000 units, according to the national Housing Development Agency’s technical assessment framework report for the Florida Heights scheme. The development will be located on 50 hectares of land – 23ha of which will remain undeveloped. Of the phase one units, 740 will be social housing apartments or “walk-ups” for rent; 100 will be Finance Linked Individual Subsidy Programme (FLISP) residential units – homes sold to residents with government subsidies on the bonds; and 180 will be RDP homes and military veteran units for those living below the poverty line. Integrated developments such as Florida Heights are the first concrete moves away from government’s RDP housing schemes – a result of the Social Housing Act of 2009. Whereas RDP developments were relegated to the outskirts of cities – far from clinics, major employment hubs and convenience stores – integrated developments include such conven-ience and social facilities, as well as secure access, public transport nodes and landscaped public spaces.